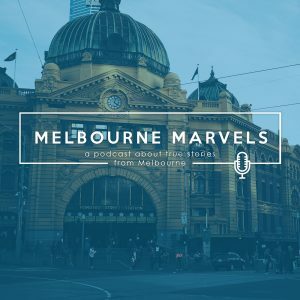 Melbourne Marvels – A place where we talk about fascinating stuff that has happened in the Melbourne area. A place where we talk about fascinating stuff that has happened in the Melbourne area. The tale of an escaped convict who lived in the bush for 32 years with the Wathuroung aboriginal people before the settlement of Melbourne. A discussion about the Westall UFO incident. In April 1966 hundreds of Melbourne schoolchildren witnessed what has become one of the most iconic UFO sightings ever. We talk about the ramifications and discuss its plausibility and the different theories about what this strange phenomenon was. With the recent spate of shark sightings in Port Phillip Bay the boys discuss historical shark attack cases that have occurred in the Melbourne area. About 250 years ago a large lump of iron space debris entered the Earth’s atmosphere and crashed into Cranbourne. We explore the consequences of this event in today’s episode of Melbourne Marvels.